Nga , 46 faqe, botuar ne shqip nga ECMI? ? This is a series of six short studies designed specifically to explain the fundamentals of salvation through Christ alone. The studies look in turn at: 1 Jesus the Son of God; 2 the crucifixion; 3 the resurrection; 4 salvation by grace not works; 5 repentance; 6 saving faith. This study book comes with useful handouts, an assessment sheet, helpful illustrations and teachers� notes for those leading the study. 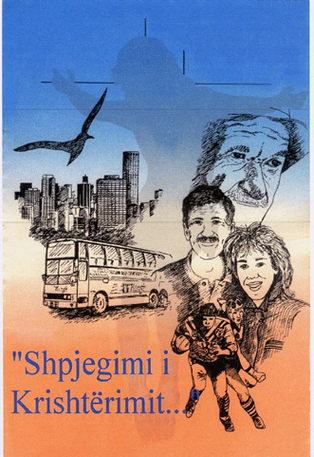 By , 46 pages, published in Albanian by ECMI?